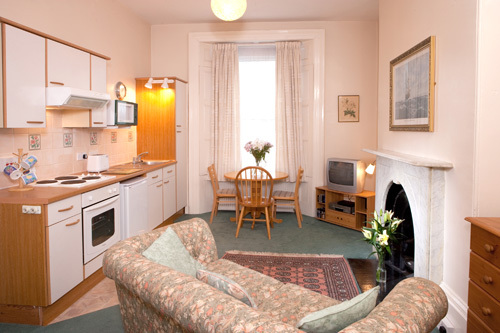 This two room apartment sleeps 2-3 people and has easy access being on the ground floor. 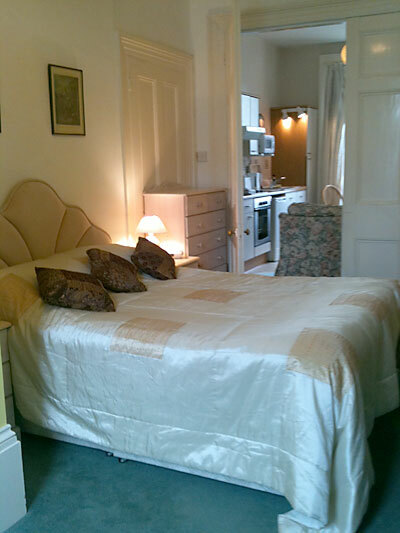 There is a double bed in the bedroom and a 3 foot single bed in the front room. 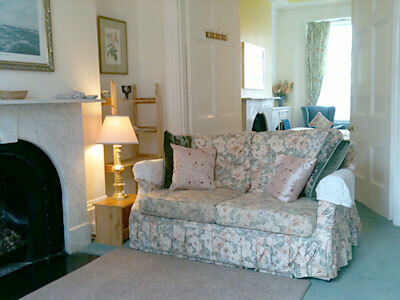 Both rooms overlook the gardens and boast many original Victorian features. There is an ensuite shower room with wc and the kitchen is well equipped.